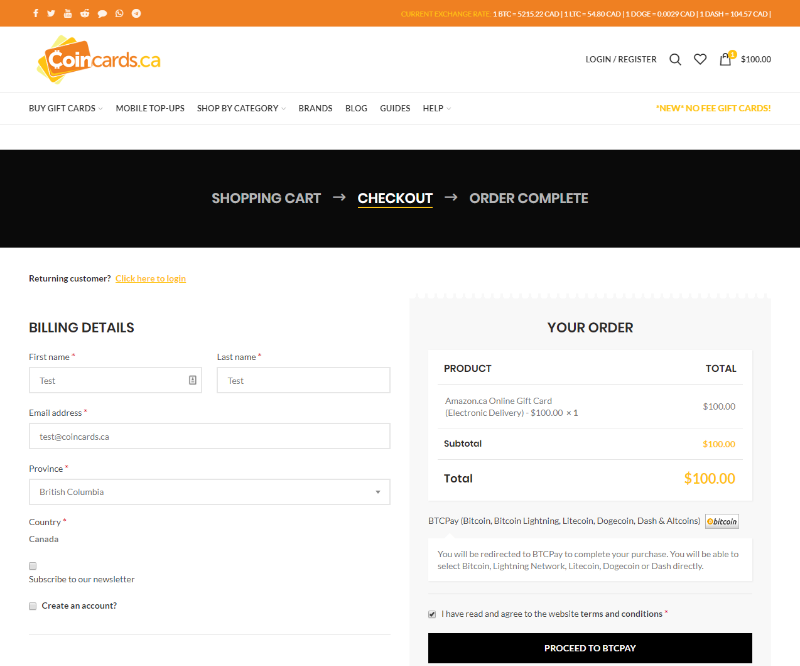 Your Order Total is displayed in $CDN on the right side of the checkout screen. You will need to click the box “I have read and agree to the website terms and conditions”, then click the Proceed to BTCPay button. You will be redirected to BTCay to complete your purchase. 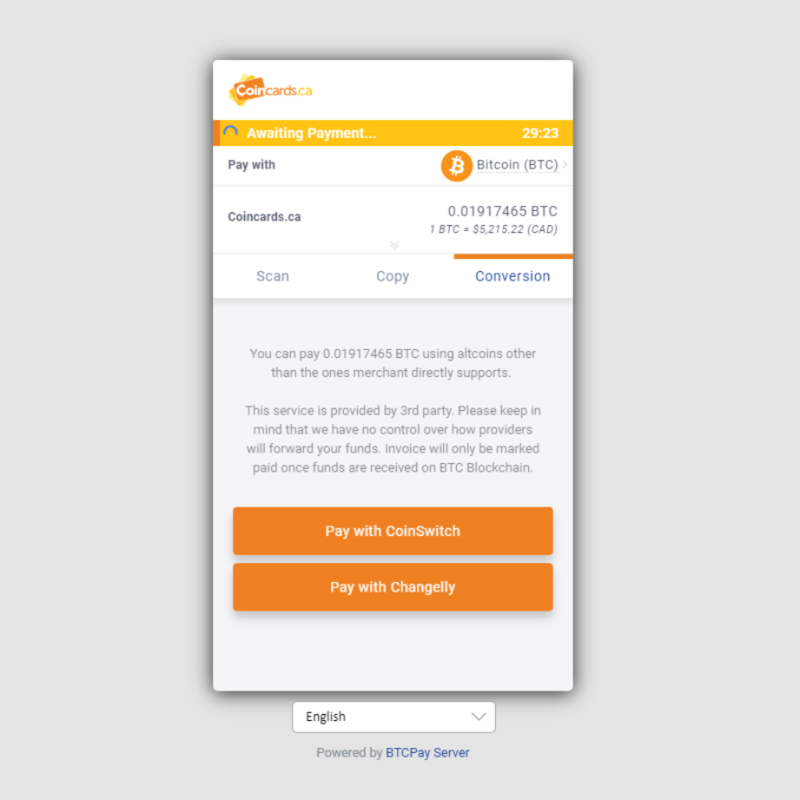 On the BTCPay screen, you will need to select the coin that you will be exchanging your altcoins into – this will default to bitcoin (BTC). You will now click on the “Conversions” tab on the BTCPay screen. 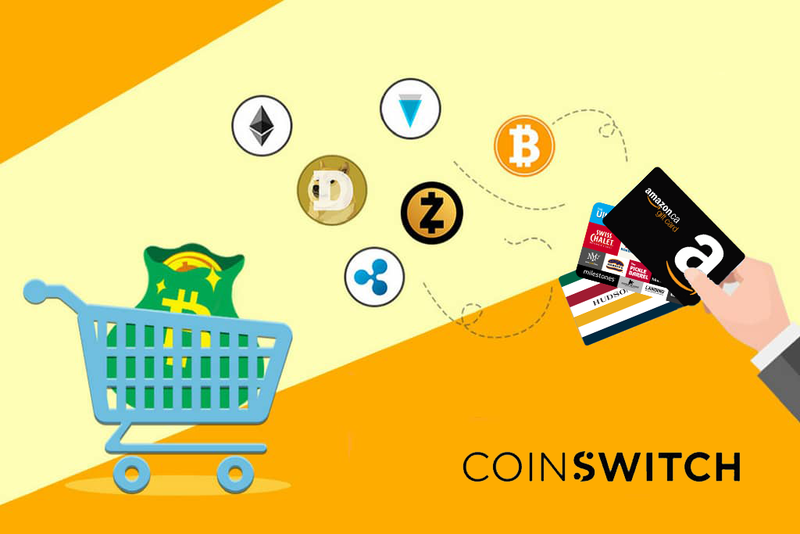 You will be presented with two conversion options – CoinSwitch and Changelly. 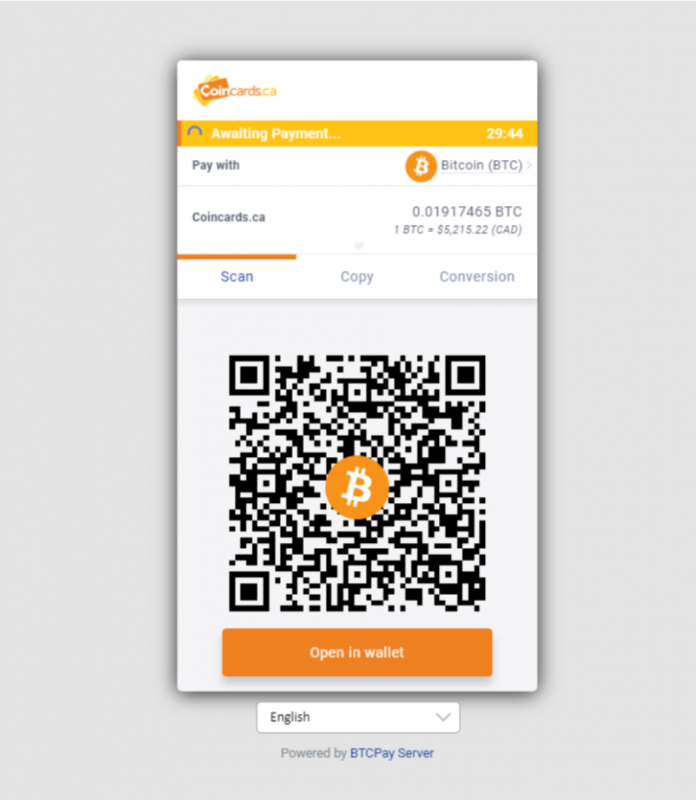 In this scenario, you will click the “Pay with CoinSwitch” button. You will be redirected to the CoinSwitch screen, and presented with a drop-down list of coins to pay with. Select the altcoin that you would like to exchange for gift cards – in this example, we chose Zcash. 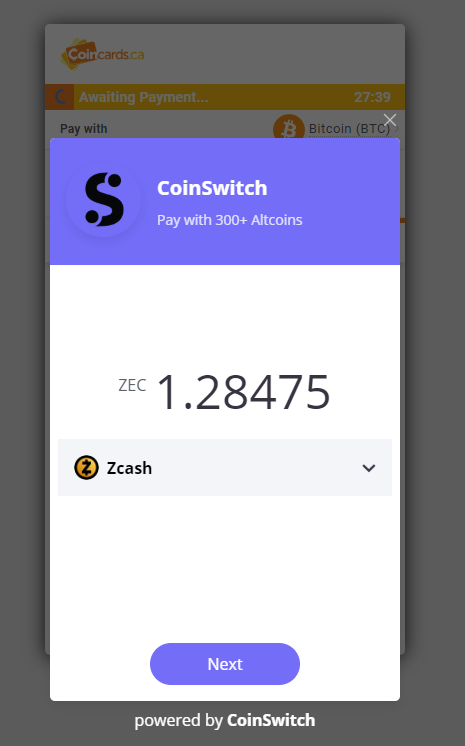 The CoinSwitch screen will display the total amount that you will need to “spend”. Click the “Next” button. 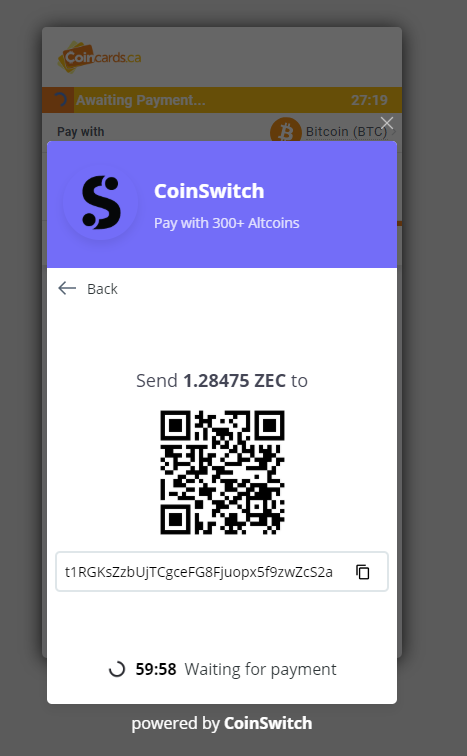 The CoinSwitch screen will now present you with a final total, QR Code and receiving address to send your altcoins for trade/exchange. And it’s that simple – they will handle the rest. *Please Note: While CoinSwitch allows 60 min to send your transaction, our system only allows for 30 min. We can not guarantee that CoinSwitch will broadcast your payments within our time limits, however, our payment processor continually monitors our (unique) wallet receiving addresses. Older New Year, New Products! Check out what we have added to our catalogue!